Editor’s Voice: August – Pop open the champagne, it’s our 3rd birthday! Following pharmaphorum’s 3rd birthday celebrations last weekend, Hannah Blake takes a look back at the great content published in August, many pieces of which were based around rare diseases. When planning this piece, I tried to come up with various sayings and phrases with ‘three’ in. Plenty of nursery rhymes boast three as an ideal number of companions – three blind mice, three little pigs and the three bears outwitted by a girl with blonde hair. But when it comes to sayings, the only one I could think of was ‘third time lucky’, which doesn’t exactly sound positive for an article celebrating a birthday. But run with me here, ‘third time lucky’ in some ways could apply. 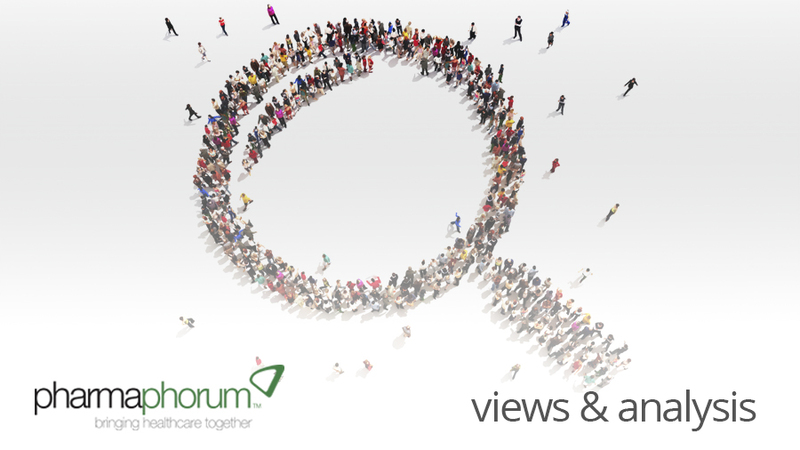 It’s been three years since pharmaphorum was founded by our Managing Director, Dr Paul Tunnah. A company like this doesn’t succeed overnight. I’m sure Paul will agree (and so will his family) that it’s taken a lot of hard work and effort to get to where pharmaphorum is today. As with everything, sometimes things go to plan, and sometimes they don’t and I think one of the great things about pharmaphorum is the way we build on every bit of feedback (good and bad). • Increased our published articles to two, sometimes three, a day. • Launched the Global Pharma Showcase. Of course, we understand there’s still a lot that can be done, and we hope to continually improve. But it’s great to hear that many of our authors and audience have the same amount of enthusiasm as we do – take a look at what some of authors had to say in honour of our third birthday. To say thank you, we also put together pharmaphorum’s wall of fame – if you have contributed in some way over the past three years, you will be able to find your face! If you haven’t contributed, you’d better get in touch before the next wall of fame! But it’s not just the past three years we should be celebrating. As I’m sure you’re aware, August has been our rare diseases focus month. We’ve published some really insightful pieces this month within this topic, exploring the importance in developing orphan drugs and how pharma can best address the rare disease population, which is estimated at approximately 350 million people worldwide. • Rare disease awareness: Alkaptonuria is a piece by Oliver Timmis from the AKU society on how we can increase recognition of rare diseases. • Rare diseases: overcoming barriers in R&amp,D is an interview with Peter L. Saltonstall, CEO of National Organization for Rare Disorders (NORD), on why increased diagnoses are important and how further research is needed in these areas. • FDA Matters: why orphan drugs are a key part of pharma’s future is an interview with Steven Grossman, a regulatory consultant who worked on the original Orphan Drug Act in 1983, on how pharma can best meet the needs of rare disease patients. • AstraZeneca’s Dr John Rex provides us with an update on the NewDrugs4BadBugs programme and the challenge of antimicrobial resistance in general. • Lawrence Sherman begins his five-part perspectives on CME series – take a look at part one and part two, both published this month. • Daniel Ghinn’s shares his views on K-V Pharmaceuticals’ recent filing of Chapter 11 bankruptcy, and questions whether social media played a part. • pharmaphorum’s Managing Editor, Rebecca Aris, interviews Shwen Gwee on his take on social media use within the pharma industry. • Anup Soans questions whether field force excellence in India is actually being achieved. • Kevin Lustig, from Assay Depot, explores how open science can be used to increase access to scientific data, looking at how Pfizer and Merck are promoting their own brand of open science. • Pierre A Morgon, Non-Executive Director at Theradiag and also Vice President, Franchise &amp, Global Marketing Strategy at Sanofi Pasteur shares what his typical day is like. • Inspired by the performances of many great athletes at the London 2012 Olympics, Managing Director, Paul Tunnah, muses whether the pharma industry can learn from the 9.63 seconds it took Usain Bolt to run the 100m final. It’s a real pleasure to say that our next focus month, for the month of September, is already pretty full of fantastic content from a range of different experts within the field of digital. It’s not surprising, as digital is such a hot topic at the moment, especially within the pharma and healthcare industries. If you have been keeping up to date with our goings on at pharmaphorum, you’ll also know that we have amended the focus months for the rest of 2012. Take a look below, and if you’re interested in contributing, you can contact us here with your idea. We are currently putting together our 2013 focus month topics, especially as we now have our new site sponsorship package available, so again, if you have any ideas, please don’t hesitate to contact us. Do you wish to contribute to our personalised medicine month?